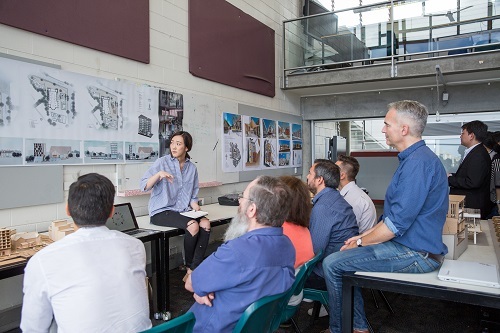 UNSW Built Environment extends a warm invitation to join our sessional teaching staff at UNSW Built Environment. One of the distinctive aspects of our degree programs is the close association we have with industry practitioners at large. Practitioners have played, and continue to play, a critical and productive role in teaching and professional courses. To maintain this relationship we are continuously looking for enthusiastic and experienced professionals to serve as tutors, lecturers, studio leaders and critics in our undergraduate and postgraduate degrees. We hope the Expression of Interest process will help broaden our professional network and cultivate an open pathway for communication. We encourage Expressions of Interest from a broad range of candidates, from recent graduates to disciplinary experts. We are particularly keen to hear from female practitioners and those with diverse cultural affiliations. The form has been designed to give us a snapshot of what you would like to teach, who you would like to work with and the extent of your qualifications and experience. Interested practitioners can express interest in casual academic appointments by completing the EOI form. Capability development program for current industry teachers. All current sessional industry teachers are encouraged to receive professional development training designed to strengthen their teaching skills and confidence to support the delivery of high-quality educational experiences to our students. Teachers are reimbursed for the participation in the training and are eligible to claim up to 8 CPD points. Find out more.